This is a long, very long snowshoe trip up and over to Jolly Mtn. We parked where the road plowing end then headed up a series of roads, ridges and trails up and over to Jolly. The final ridge walk up to the Jolly Mtn summit is one of the best winter routes around. One must remember to brings snowshoes...or be thankful that there is a large group breaking and compacting the trail ahead of you. More information on the lookout: This is a former lookout site which was first established with a camp in 1916. 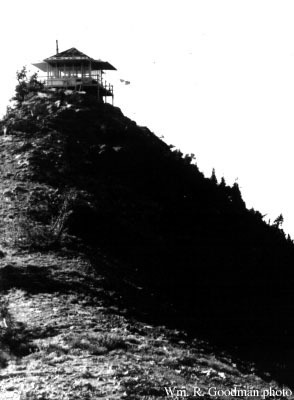 A cupola cabin was built in 1921 and replaced in 1936 with an L-4 cab which was then destroyed in 1968.